National Baptist Convention - Envisioning the Future Exceptionally - Taste Test Sunday - March 19, 2017 - Eat Well and Live Longer! Taste Test Sunday - March 19, 2017 - Eat Well and Live Longer! 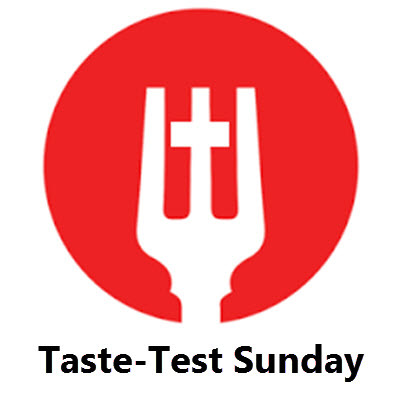 On Taste Test Sunday 2017, we’re asking NBCUSA churches to sample diabetic safe desserts after worship. You’ll watch members surprise as how good these desserts taste. You should consider promoting a contest in your congregation to collect recipes with healthy substitutions for a “Healthy Desserts Cookbook.” We offer the information in this guide to assist you in planning for this observance. The annual nationwide productive costs of obesity obesity-related absenteeism range between $3.38 billion ($79 per obese individual) and $6.38 billion ($132 per obese individual). Type 2 diabetes – once believed to affect only adults – is now being diagnosed among young people. In some communities, almost half of the pediatric diabetes cases are type 2, when, in the past, the total was close to zero. Although childhood-onset Type 2 diabetes is still a rare condition, overweight children with this disease are at risk of suffering the serious complications of diabetes as adults, such as kidney disease, blindness, and amputations. Non-Hispanic blacks have the highest age-adjusted rates of obesity (48.1%) followed by Hispanics (42.5%), non-Hispanic whites (34.5%), and non-Hispanic Asians (11.7%). Obesity is higher among middle age adults age 40-59 years (40.2%) and older adults age 60 and over (37.0%) than among younger adults age 20–39 (32.3%).